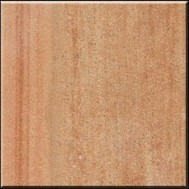 the major exporter of exclusive range of natural stone and products thereof i.e. sandstone, lime stone, quartzite, slate and Marble. Sandstone tiles & Slabs, lime stone products, quartzite and Marble tiles, pebbles, blocks, strips, bricks, pavement stone, sculptures, landscaping, edges, fountains, garden furniture and handicrafts. Floor and Facade Stone Tiles � in all finishes � Polished; Honed, Bush Hammer, Sand Blast, Brushed and antique finish Tiles and slabs. Architectural Building Objects, Garden Furniture made of Stones, Landscape Articles also.